Hardy described Desperate Remedies as a tale of 'mystery, entanglement, surprise and moral obliquity'. Blackmail, murder and romance are among the ingredients of Hardy's first published novel, and in it he draws blithely on the 'sensation novel' perfected by Wilkie Collins. Several perceptive critics praised the author as a novelist with a future when Desperate Remedies appeared anonymously in 1871. 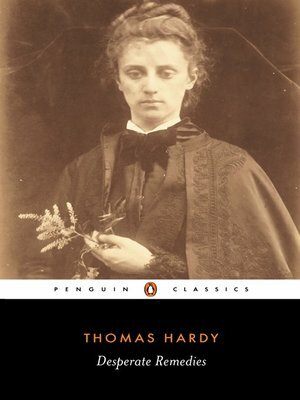 In its depiction of country life and insight into psychology and sexuality it already bears the unmistakable imprint of Hardy's genius.